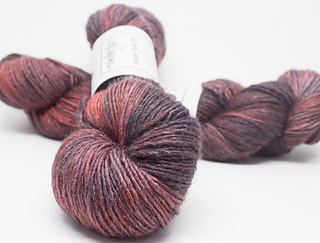 Now taking the stage… Honky Tonk DK, one of our most sensational yarns! 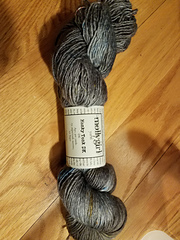 A blend of 75% superwash merino and 25% Ingeo (a renewable fiber made from corn), this is a luscious, silky yarn with a unique sheen to it. Ingeo takes no dye, lending this yarn a unique luster & shine, and combined with its single ply construction, this yarn is truly special. 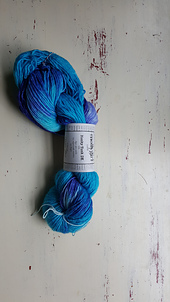 There’s a whopping 300 yards in each skein! Another benefit of Ingeo is that it has remarkable moisture-wicking properties, making it perfect for sweaters and large shawls. It will keep you dry and comfortable (not to mention looking fantastic in your handmade garment!). 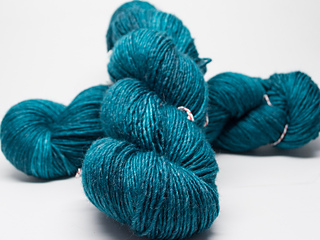 As of November 2018, all of our Honky Tonk yarns are being produced with our amazing superfine domestic superwash merino! This sensational wool has never left the US - from sheep to skein, it’s produced entirely in America. The difference is clear once you’ve worked with our yarns - less pilling, more body and bounce, and unbeatable color absorption! 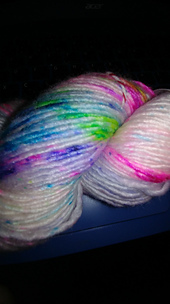 It’s extra soft too, and now this yarn is 100% made in the USA!